Bronze Tin Hanging Star with single marble in each side multicolored. 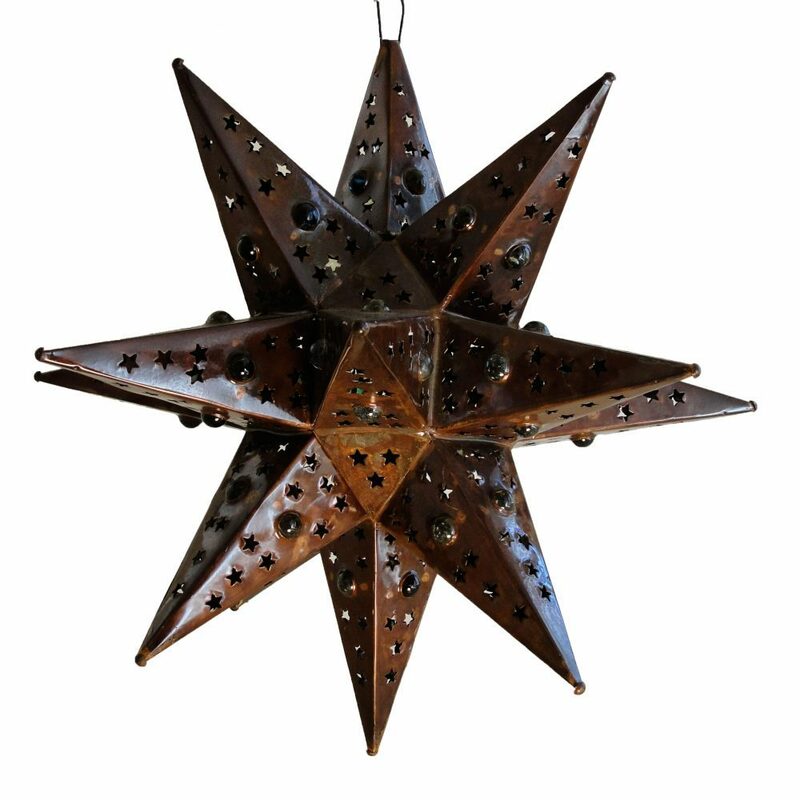 This punched tin star lamp is a perfect addition to bring warmth to your rustic decor. We have three sizes small 12 in diameter, medium 16 in diameter and the large is 20 in diameter all with a single marble in each point. Wired is optional please choose below if you want it. This is a hanging tin star with a single multi colored marbles is a perfect addition to bring warmth to your rustic decor. This authentic bronze tin star light was handcrafted and punched by artisans in Mexico. These hanging starlighting complement any rustic including Spanish colonial, southwest, Toscan or Santa Fe. Each side of the star has a single multi colored marbles. Since each rustic star fixture is hand crafted, color and finish may vary slightly from what’s pictured here. Chain and ceiling plates sold separately.